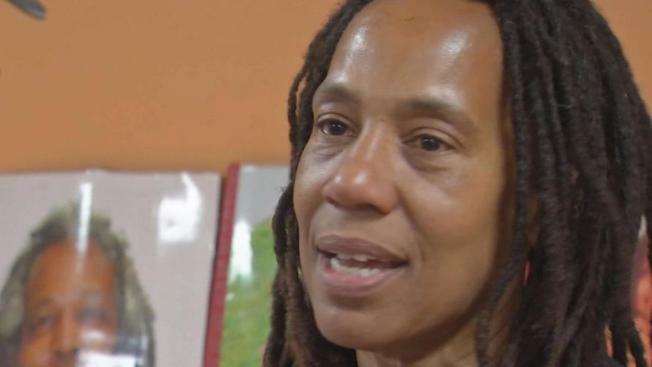 Debbie Africa is the first of the so-called “MOVE 9” to be released on parole. Debbie Africa, a member of the MOVE 9 who was sentenced to prison after a shootout that led to the death of a Philly police officer, is now free after 40 years. Now she's speaking out and calling for the release of other members. A member of the radical group MOVE has been released from prison nearly 40 years after the group engaged in a shootout that killed a Philadelphia police officer. Debbie Africa is the first of the so-called “MOVE 9” to be released on parole. She left a state prison on Saturday. Nine MOVE members were convicted of third-degree murder in the August 1978 death of officer James Ramp, and each got 30 to 100 years in prison. The fatal confrontation came after police tried to evict the group from its Philadelphia headquarters. MOVE claimed Ramp was killed by friendly fire. Africa, who was pregnant at the time and gave birth in prison, said in a statement issued by her lawyers that “she’s happy to finally be home.” She called for the release of the six other surviving defendants, including the father of her son, all of whom remain behind bars. Two other MOVE members appeared before the state parole board on the same day as Debbie Africa but were denied parole, according to defense lawyers. Police and MOVE — an anti-establishment, back-to-nature group — remained in conflict for years after the shootout, culminating in the 1985 police bombing of MOVE headquarters that killed 11 people and destroyed dozens of row homes. The 19-week trial over Ramp’s slaying was marked by MOVE members’ frequent tirades against the court and society, and, at the time, was the longest and most expensive trial in Pennsylvania history.